Townsville's full of surprises – best of all the people you meet in real estate. You certainly do not appreciate it but the city is spreading out. But more on that later. Cementing it’s place as the the North’s only Capital, Townsville has been a fertile ground for success in business – provided you are prepared to work hard. Today I had the privilege of flying out to Mount Margaret (Rupertswood / Bohle Plains) to inspect some acreage blocks with John Hassell of J and D Rigging. 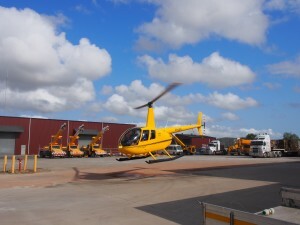 John recently purchased the helicopter after achieving his pilots licence and has some 200 hours flight time. This showed as I knew immediately was in safe hands. But that’s enough of the flight – John’s a story in himself. John and Doris established J and D Rigging in 1994 in Mount Isa before moving to Townsville about 13 years ago. He grew in Currajong and attended school at Mundingburra and Pimlico ( another Pimlico State High School success story). He told me the story of how he helped Doris get her tickets and they worked together on there first project in Mount Isa – her on the crane and him doing the rigging – and the rest Ladies and Gentleman is history (and a lot of hard work). 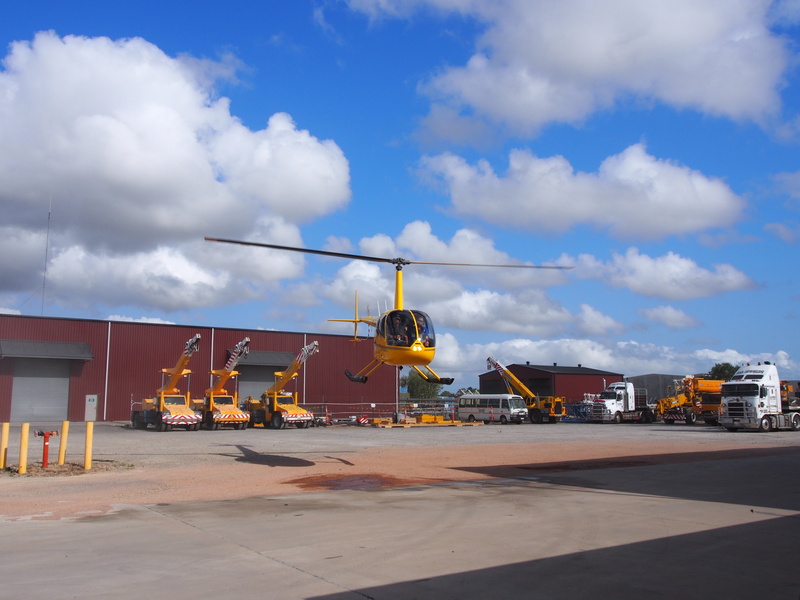 “From there humble beginnings in Mount Isa, John and Doris Hassell set up J & D Rigging operations in 1994 with a 20 tonne Unic crane as the ‘pride of the fleet’. The business grew rapidly as a partnership until August 1996 when the company, J & D Rigging Pty. Ltd. was formed, and as expected, has continued to mature into what you see today. John Hassell, Managing Director, has worked in the Rigging and Scaffolding Industry since 1975 after starting his boiler making apprenticeship when 14 years old. John’s primary role within the company is to apply his experience and knowledge both in a supervisory and hands on capacity, to any work undertaken by the company. 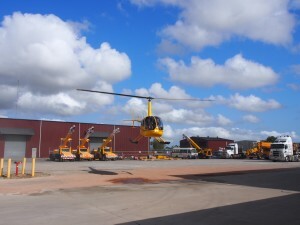 As such he can usually be found on site ensuring the excellent standard of service and workmanship to which J & D Rigging Pty Ltd has become known for is maintained. Suffice to say with over 30 cranes – some of which we seen on the Townsville Port expansion and Lavarack Barracks – J and D Rigging are major players in the state, and with no fanfare John and Doris have succeeded because they loved what they did. What’s great about life in Townsville is the people you meet and their stories. I loved it when I worked for the Commonwealth Bank for 30 years and now with the property market on the turn in Townsville we are seeing more and more people looking to buy – and of course more genuine people like John who work quietly building a sound business model providing employment and giving back to local community. And John – he loves flying – and what an awesome experience it was to fly with John this morning.